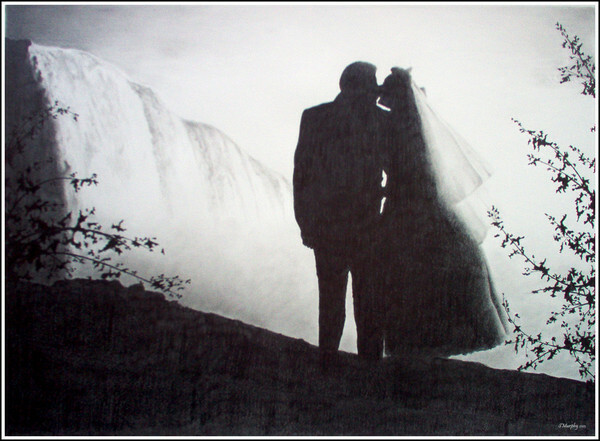 The memory of love you both shared, under the roar of Niagara's mist. This drawing was done for a very special friend. This is her gift to her parents who spent their honeymoon back in 1960, at Niagara Falls. I wish her and her parents, peace and happiness, for all the many years to come. WOW. Details are so impressive. GREAT WORK!!! This is great - I took it for a black and white photo at first! :) Very well done!